Staff at the U.N. Food and Agriculture Organization seem ready to go on strike, most likely during the Committee on World Food Security slated for next week at the organization’s headquarters in Rome. 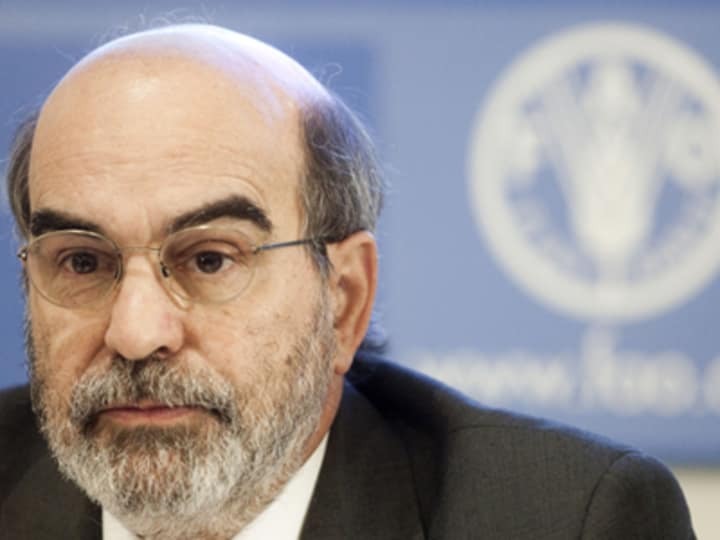 Employees are protesting FAO director-general’s Jose Graziano da Silva’s intention to terminate at least 56 full-time positions and implement sweeping changes in the agency’s human resources policy. Union leaders are complaining about lack of information and transparency in the process. But management insists they need to trim the fat from somewhere, and there is no way around it if they want to save the $37 million member states requested Graziano da Silva in June, when the reforms were included in a cost-cutting plan staff only found about recently. “The longer we delay reaching an agreement, the more it costs. And the more it costs, the more money we have to find from other [places],” Denis Aitken, the agency’s assistant director-general for corporate services, human resources and finance, said in an exclusive interview with Devex. Aitken responded to staff complaints and explained why the agency has decided to push through with such a controversial measures, and shared his long-term vision for reform in FAO’s human resources policy, which will include the introduction of a mobility scheme, a new evaluation system, revised payment guidelines for consultants and a speedier recruitment process. Last Friday, management started the process that will end with the dismissal of at least 56 full-time employees, most of which will come from administration, information technology, corporate services, interrelation with the member states and external relations, according to Aitken. Staff have complained about not being informed of the criteria that will apply for choosing who gets laid off, and that the agency is looking to more outsourcing and hiring consultants to replace full-time workers. Aitken said that outsourcing some services, such as cleaning, do not pose a problem at all, and gave the example of relocating accounting work to the Budapest office, where overall costs are much lower than in Rome. He also insisted the reforms they are pursuing is to comply with a firm request by FAO member states to reduce costs, and reassured staff that the 56 layoffs will not be the first of many staff cuts to come. Employees however are still concerned, and during last week’s meeting with union leaders raised the issue of the 87 members of the IT department that will probably not extend their contracts and leave the organization at the end of the year. Will the whole department disappear? Aitken said no, explaining that the plan is to reform it to a model based more on cloud services and external consultants. One of the most controversial aspects of FAO’s human resources policy reforms is the proposed abolishment of the “reduction in force” clause to terminate contracts for financial reasons, which employees strongly oppose. RIF specifies how the agency can cut staff in case of restructuring, following the “last person, first out” principle, so newer and less senior employees are always the first to be laid off, but it has never been applied in the 67-year history of the agency, stressed Aitken. “It is something that frankly most people have never heard of before we decided to [eliminate] … RIF is so disturbing to the organization that it has never used it, ever,” explained the official. Employees however believe that without this mechanism, they will be less protected against future downsizings, while management claims that with a new system in place, it will be much easier to redeploy workers and allocate human resources better. Aitken is open to several formulas to break the impasse based on suggestions from staff, like for instance introducing the so-called “triangulations system,” whereby if someone wants to abandon a particular position, he/she can just make the position available for applicants whose positions are being made redundant. But staff cuts are only one side of the story, according to Aitken, for whom the big picture is HR reforms that will in the future provide for results-based budgeting. FAO staff, he said, need to change their work culture, and for instance start feeling that they are working for a successful organization, and not be complacent after having landed a well-paying job for life. Aitken also believes strongly in reforming the U.N. agency’s recruitment process to make it both much faster and better able to spot the most qualified candidates for each position. This can be done by merging the different committees that oversee recruitment, bringing in manager expertise, and evaluating not just qualifications but also applicant experience, competences and how these can benefit the organization. FAO also needs more staff with managerial skills rather than focus almost exclusively on technical experts. Other changes proposed by Graziano da Silva are to revise the payment scheme for consultants so it’s more suited to the market, introduce a compulsory mobility program for international staff so they don’t stay in the same position or country too long, promote remote trainings and revamp the performance evaluation system to encourage more discussion between staff and supervisors. Elena Pasquini covers the development work of the European Union as well as various U.N. food and agricultural agencies for Devex News. Based in Rome, she also reports on Italy's aid reforms and attends the European Development Days and other events across Europe. She has interviewed top international development officials, including European Commissioner for Development Andris Piebalgs. Elena has contributed to Italian and international magazines, newspapers and news portals since 1995.